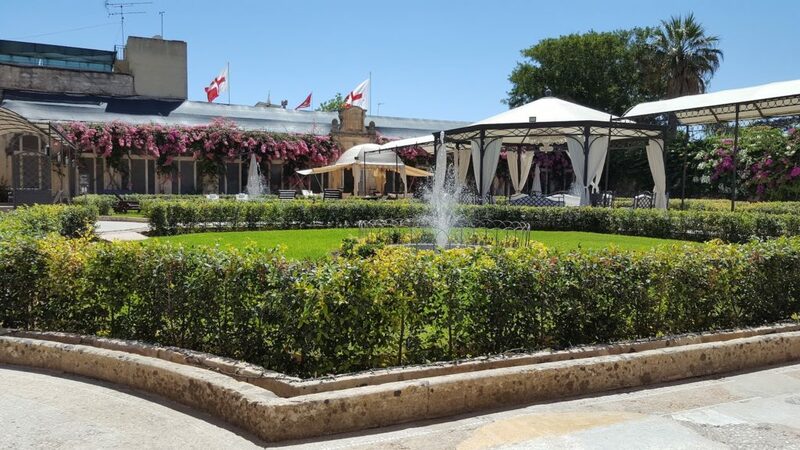 Step into the most luxurious property in Naxxar when you visit Palazzo Parisio. Everything about this place just screams gorgeous. I heard so many good things about this place that one fine Saturday afternoon me and Sebastian decided to give it a go and since then we never looked back. We take every opportunity we can to go as they serve breakfast, brunch, lunches, afternoon teas and of course dinner. Despite going there several times, every time it feels like a special occasion. Peaceful yet animated, is how I would choose to describe one of favourite spots on the island. To describe the place as exceptional is probably an understatement. Here you can sit back, relax and indulge in mouthwatering food and fabulous cocktails whilst being surrounded by a striking garden. This place is just WOW! It sure feels like being abroad when entering the gardens. As soon as you step foot in the palace you will find yourself in the entrance hall, this is your first introduction to the palace, and it definitely starts off on a positive note. From the entrance hall you get the opportunity to get a glimpse of the well maintained gardens. It also features several paintings and fine ornaments. To be able to appreciate the beauty of Palazzo Parisio, pictures don’t do it justice, you have to visit for yourself. If you’ve always dreamed of the perfect fairytale wedding, it’s definitely worth checking Palazzo Parisio out. You can create your own fairytale wedding at one of Malta’s finest palaces whilst given guidance through the whole process. The family at Palazzo Parisio do their best to help you organise your dream wedding. But enough about weddings, let’s go back to food! You had a long week of cold cereal, bran bars, and breakfast sandwiches, so Saturday and Sunday is the time to pamper yourself with a heavenly breakfast. 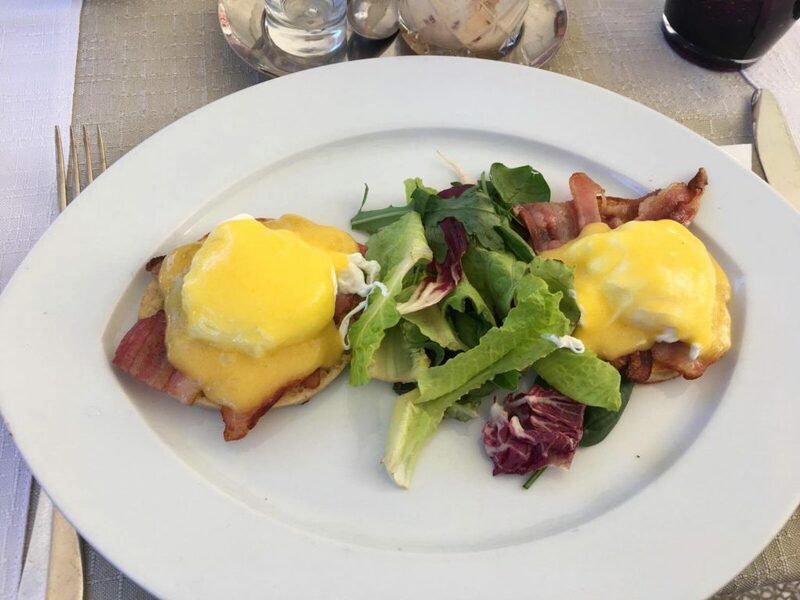 The wonderful surroundings at Palazzo Parisio make the perfect backdrop for an enjoyable breakfast and for the perfect Instagram photos. If you are one of those people who love a weekend lie- in then we are you you will be pleased to know that breakfast is served until 11.30am. The breakfast menu is superb! There is so much to choose from and the portion sizes are great. I opted for the Italian (surprise surprise) which consisted of a selection of cold cuts and cheese, freshly baked bread, huge croissant and homemade jam tartelette. My friend opted for the eggs Benedict while my mum in law felt like some Belgian Waffles. She was so hungry and excited that she didn’t even give me time to take a picture, and to be honestly didn’t even dare to stop her. 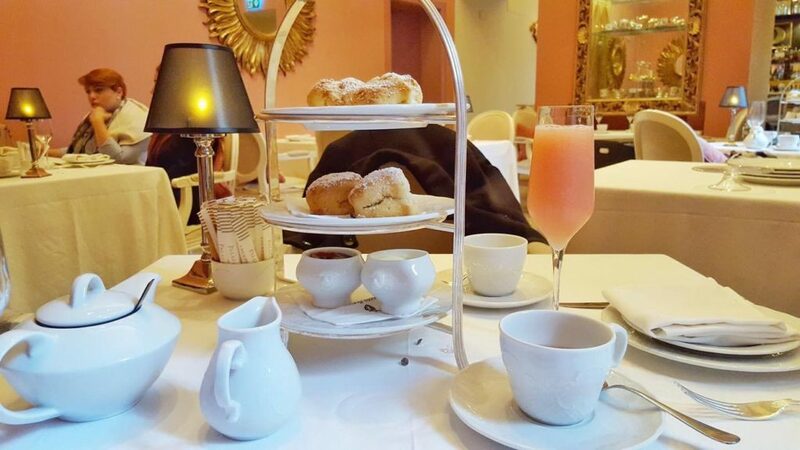 On another occasion I went to Palazzo Parisio for afternoon tea, and let me tell you something, afternoon tea is taken seriously here. They make sure everything is done in the correct way, from the silverware, the table cloths to the fine china. They bring you some of the best tea in the world, from Jing. Enjoy a mix of blends, from traditional black teas to the younger white tea leaves. And if you prefer the taste of berries, camomile and peppermint they have something for you as well. The pastries were also delicious, all prepared by their Patisserie. We opted for some mouth- watering scones, sandwiches and herbal tea, to complete our afternoon tea experience. We thoroughly enjoyed our girls breakfast in the most beautiful setting garden, under the elegant white shade. After our breakfast we looked around the garden and took some great pictures with a view. An altogether lovely experience I have no hesitation in recommending.